Nancy Amirkhanian Ms. Amirkhanian received her bachelors degree from York University in 2005 and went on to complete her masters in counselling psychology from The Adler School of Professional Psychology in Chicago. Ms. Amirkhanian also obtained a diploma as an Addictions Case Worker from McMaster University. She is also a member of the College for Registered Psychotherapists. Her psychotherapeutic approaches include cognitive behavioural therapy, narrative therapy, emotion focused therapy, and training in dialectical behavioural therapy. 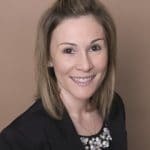 She has 10 years of experience as a rehabilitation consultant working with individuals who have been involved in motor vehicle accidents, including those who have suffered catastrophic injuries. The focus of her interest has been specifically on the rehabilitation of individuals with traumatic brain injuries and mental health diagnosis and / or addictions. Ms. Amirkhanian carried out a study, in collaboration with Dr. Nussbaum at Ontario Shores Mental Health Sciences, which investigated the benefits of computerized cognitive retraining within a forensic setting. She continues to engage in research at Ontario Shores in the area of dementia and neuroplasticity. Currently, she is completing research in the area of immigration. Previous work experience also includes background knowledge in working with a variety of issues, such as depression / anxiety, trauma, eating disorders, couples therapy, anger management, learning disabilities, behaviour modification, ADD, ADHD, ASD and psychotic disorders. In the past, Ms. Amirkhanian has also carried out seminars addressing issues related to the geriatric population and taught addictions counselling courses at the post-secondary level. Ms Amirkhanian completed a one-year contract position at The Centre For Addictions and Mental Health (CAMH) in the complex mental illness program CBT services. In this role she conducted assessments with individuals diagnosed with schizophrenia spectrum disorders. Ms Amirkhanian also provided individual and group-based treatment, specifically CBT for psychosis. She is currently enrolled at Fielding Graduate University in the clinical psychology doctoral program. Nancy is thrilled to be a part of Family TLC and to be able to provide service to the community in which she resides.